In a vibrant cosmopolitan city like Singapore, each neighbourhood — from Tiong Bahru to Sentosa Cove — is different from the other. One of the most glamorous enclaves in the Lion City, District 10, offers a serene lifestyle with scenic nature views while boasting a prime location just 10 minutes from Orchard Road and the Central Financial District. The enclave comprises of Bukit Timah, Farrer Park, Holland Village and Tanglin, where ultra-posh homes coexist alongside a wide selection of cafés, a forest reserve, a horse racing track, and Singapore’s tallest hill. One of the latest landed developments set to shake up the district is Victoria Park Villas, developed by CapitaLand. Slated to be completed in the first half of 2018 at the junction of Coronation Road and Victoria Park Road, Victoria Park Villas will offer 106 semi-detached houses and three luxurious bungalows. With a wide variety of high-end entertainment and dining options around the district, residents will be spoilt for choice — especially when it comes to Sunday brunch. If you don’t know where to start, we’ve curated a list of dining establishments that may just soon be your favourite weekend haunts. The verdant Dempsey enclave is just a short 10-minute drive away. Establishing itself as a trendy retail and lifestyle destination, Dempsey is a food lover’s paradise. From beautiful cafés where you can sit back with a cup of coffee to a Spanish restaurant set within lush greenery, the dining options are endless. One of the latest additions to the enclave is COMO Dempsey, boasting three restaurants with different concepts — Dempsey Cookhouse & Bar, Candlenut and Ippoh Tempura Bar by Ginza Ippoh. The beautiful Dempsey Cookhouse and Bar. 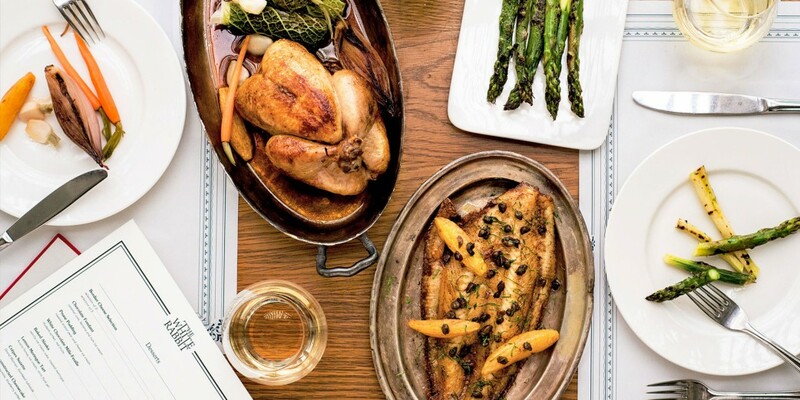 Dempsey Cookhouse & Bar was opened by one of New York’s most celebrated chefs, Jean-Georges Vongerichten. The stunning and airy restaurant features an open kitchen concept designed by renowned architect and designer Paola Navone. 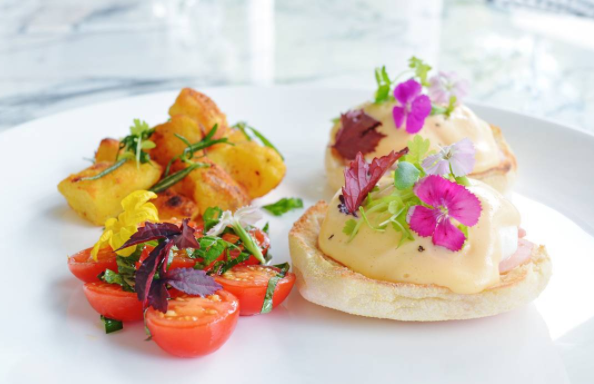 For a classic Sunday brunch, try the Eggs Benedict, roasted potatoes and ham and tomatoes — best enjoyed with a refreshing cocktail such as the Lychee Raspberry Bellini. Eggs Benedict, roasted potatoes, ham and tomatoes. Another favourite brunch spot in Dempsey, The White Rabbit, occupies a restored 1930s Ebenezer chapel. A must-try is the Butcher’s Board, which comprises a bone-in wagyu rib eye served with roast chicken, spicy Italian sausages, and snail sausage. 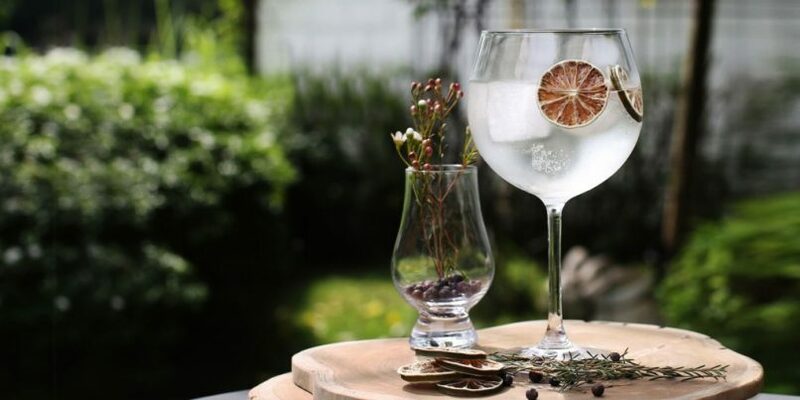 The dining establishment also has an outdoor watering hole called The Rabbit Hole, Singapore’s only garden gin bar. Gin and Tonic at The White Rabbit. District 10 is also home to Singapore’s only UNESCO World Heritage Site, the Singapore Botanic Gardens. Founded in 1859, the 74-hectare gardens boast a rich history and an extensive plant collection of worldwide significance — perfect for a relaxing weekend stroll. Corner House is housed within a two-storey black and white bungalow built in 1910. Besides the tropical flora and fauna, the Singapore Botanic Gardens is home to a few world-class dining establishments. 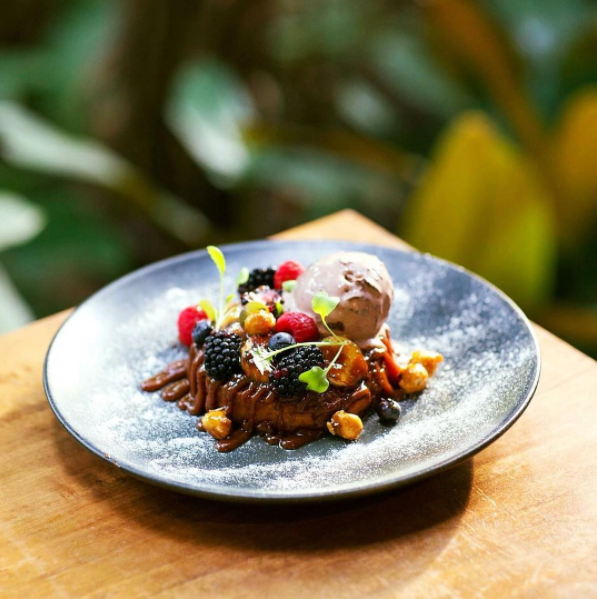 Set in a two-storey black and white bungalow built in 1910 is Corner House, which is run by chef Jason Tan, an alumnus of Le Saint Julien Restaurant and Les Amis in Singapore. Tan’s cuisine, which he dubs as Gastro-Botanica, combines fresh produce and vegetables with progressive, French culinary techniques. The Pain Perdu is served with chocolate ice cream and hazelnut praline. 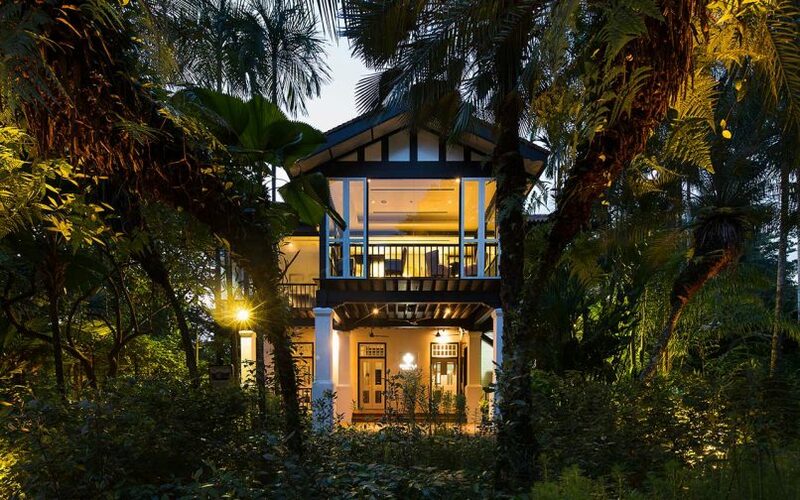 Another establishment, The Halia, is tucked away amidst the lush foliage of the Ginger Garden. Serving European-Asian fusion cuisine, the restaurant features warm earthy interiors, high ceilings, and full glass walls offering unobstructed views of the garden. A brunch favourite is the Pain Perdu, served with chocolate ice cream and hazelnut praline. For authentic Peranakan fare, Violet Oon Singapore is just a 7-minute drive away from Victoria Park Villas. Boasting a family-friendly vibe, the restaurant serves dishes made with time-honoured recipes and cooked to perfection — rounded off with a hearty dose of Peranakan hospitality. The Violet Oon Big Breakfast. The flagship restaurant also offers a weekend brunch menu. 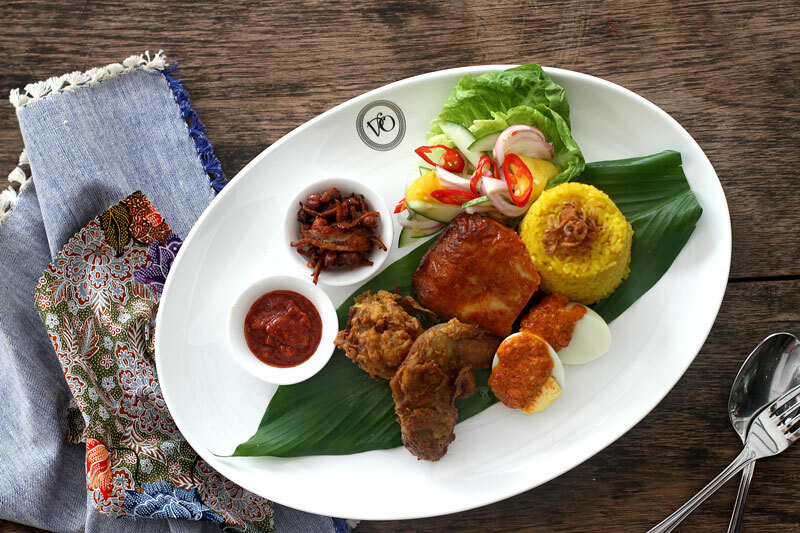 A must-try from the menu is the Violet Oon Big Breakfast, consisting of otak otak, turmeric chicken wing, sambal egg, nasi kuning (yellow rice), ikan bilis, and peanut sambal. If you’re looking to live in an upscale district surrounded by some of the best dining establishments from Singapore’s culinary scene, while enjoying complete privacy and exclusivity, Victoria Park Villas offers just the right location.